Could it really be possible? Well, back in March of 2017, no less an authority than Brian Clark wrote a blog post on Copyblogger with that very headline. Let’s hear him out before we make our judgment. Welcome to Episode 12 of Sites. Last week, in episode 11, we discussed site security. I gave you five important steps that you need to take to build a fortress of security around your website. If you missed that episode, please go back and listen to it. It’s both important and urgent that you take the security of your website seriously. Without security, your content and your design and your plugins, and everything else can too easily be rendered meaningless. Take security seriously. Once you have strong security in place, then you can start thinking about things like … SEO. Which is our topic this week. You may recall that we discussed SEO back in episode 7. In that episode, I highlighted a common mistake website owners make with SEO — namely, not thinking clearly enough about each of the three components parts of Search Engine Optimization. I also provided you with three important SEO action steps you should take right away. Like the security episode, Episode 7 about SEO is well worth going back and listening to if you missed it, or if you’re new to the podcast. And if you are new — welcome. It’s great to have you here. Please take a moment to send me a tweet and let me know you’re listening. I’m @JerodMorris on Twitter. And that goes for you too if you’re a long-time listener. I love being able to make a personal connection with listeners, so please take a moment to say hi. Okay — back to business. SEO. We know we need to think about it. We know we need to have smart, proven strategies and technology systems in place to maximize its impact. What if we could simply eliminate SEO from our lives? Yeah, that’s right, I said it: what if you could eliminate SEO from your life? I say let’s hear him out before we make our judgment. Here, now, is my reading of Brian Clark’s blog post: “What If You Could Simply Eliminate SEO From Your Life?” I’ve adapted it slightly for clarity. Make sure you stick around after the reading, as I’ll have this week’s hyper-specific call to action for you. Imagine a world without search engines. No more surprise Google updates. No more worrying about XML sitemaps, robots.txt, and content analysis and optimization. And perhaps most importantly, no more keyword research. That last one means you’re going to have to go old-school to figure out the language of your audience to reflect it back to them. It’s going to take a lot more work. You didn’t think you were going to get out of that one, did you? When you’re executing on your content marketing strategy, what you say is crucial. But when it comes right down to engaging and converting your intended audience, how you say it becomes the definitive difference. You need to speak the language of the audience. In a world with search engines, you get a glimpse directly into the mind of your prospect, based on the language they use when seeking a solution to a problem or looking for the answer to a question. Back before search engines, writers and advertisers still had to discover the language of the intended audience. It just took more work. In that scenario, you’d have to rely solely on other content creators to get the language right. How do you know they did the proper work? Still want to live in a world without search engines and keyword research? Let me be frank … it’s simply negligent to not use keyword research to understand the language of your audience so that you can reflect it back to them. You’re simply doing content marketing poorly if you’re not discovering and addressing the related topics that your prospects care about. And once you’re covering the topics that matter, and using the language your audience uses, you’re doing most of what matters for search engine optimization. You don’t have to obnoxiously repeat keyword phrases anymore — Google has been smarter than that for years now. For example, voice search has increased sevenfold since 2010, thanks to mobile. This gives you a more conversational glimpse into the minds of your audience, while also allowing you to write in a natural, engaging manner that Google still understands. Plus, Google’s semantic abilities continue to improve. The algorithm interprets queries based on what users mean, even if that differs from what they searched. And Google’s AI is even beginning to understand metaphors. In short, if you do the work that’s required to understand the language and cover the topics your audience cares about in the context of doing business with you, you’re doing the bulk of the work that constitutes modern SEO. From there, the rest of the learning curve isn’t that bad. And you’ve got technology on your side for that. The real danger of SEO isn’t that you’ll create content designed for robots. People use search engines, not robots — so you’re always creating for humans. And Google not only wants you to do that, they require it. No, the real danger is that you run into problems when you chase search traffic as if it’s an end instead of a means. The intentional nature of search traffic makes it a potential gold mine, but only if you do something with it. In other words, ranking number one in Google for a coveted search term means nothing if that traffic doesn’t further a business objective. Are they likely to click deeper into the site? How about a content upgrade that gets them on your email list? Can you get them to check out your product or service? There’s nothing worse than a quick bounce. And search traffic bounces even if you do a great job of answering the initial question — if you don’t give them a next step, that is. Traffic doesn’t mean squat without some form of conversion. And search traffic is not your audience; it’s just a highly qualified missed opportunity unless you get them onto an email list or prompt them to make a purchase. If you’re doing the real work of understanding the problems, desires, and language of your audience, you might as well do the remaining work of optimizing for search engines. And most of that is handled by technology. Primarily, you need a mobile-friendly site that loads fast. Which, let’s face it, you’d need even in our imaginary scenario where search engines don’t exist. People are still people, and that’s why Google wants you to optimize for their experience. If you’ve done the extra work to rank well in search engines, you now owe it to yourself to optimize for conversion as well — because that’s what you need to do for any kind of traffic, right? Which brings me to my real point here. Outside of purely technical issues due to legacy website problems, SEO is not separate from content marketing. It’s an integrated aspect of content marketing. So, to go back to the original question posed in the headline: Can you really eliminate SEO from your life? You can certainly eliminate having a separate, siloed focus on SEO from your life. It doesn’t work, and it wastes your time and effort. Because once you stop viewing SEO as something separate from your content marketing, and start viewing SEO as an integrated set of activities that help you empathize with and better serve your ideal audience, you will find yourself in a much better position to achieve your content marketing goals. And when you combine smart, integrated SEO with basic, proven conversion techniques … well … now you have the formula for a powerful, successful WordPress website. Now it’s time for this week’s hyper-specific call to action. For this week’s call to action, I want you to take a few minutes and gain a greater understanding for how people are currently finding your site in search engines. So go into your analytics program and take a look at the keywords driving traffic to your site. Look at the top keywords, then dig into some of the medium- and long-tail keywords as well. And don’t just look at the list of words, look at the landing pages people are ending up on when they search those terms. Are they landing pages you WANT people ending up on for those terms? And are those landing pages set up to convert? Check. Double check. Are there terms you think, or you want, to be driving referrals to your site that aren’t currently? Doing this can give you important insight into new pages you should create, or perhaps even assumptions on your part that are wrong. The different types of insight that you can gain from an exercise like this are plentiful. So take 10-15 minutes, poke around, and see what you find out. I bet you’ll find it to be worth your time, as you’ll gain a better understanding of your current search visitors, as well as holes in how search engines see you that new content can help you plug up. And please report back to me on Twitter. What did you learn by following through with this week’s hyper-specific Call to Action? I want to know! Okay — coming next week, we move back to content. And I promise you next week’s episode will be the perfect next step after an episode like this week’s about SEO — because, as we discussed earlier in this episode, the best search rankings in the world won’t matter if your content doesn’t engage visitors once they reach your site. So listen in next week to learn how to create content that deeply engages your audience. If you haven’t yet, please take this opportunity to activate your free subscription to our curated weekly email newsletter, Sites Weekly. And finally, if you enjoy the Sites podcast, please subscribe to the show on Apple Podcasts (formerly known as iTunes), and consider giving us a rating or a review over there as well. One quick tip on that: to make the best use of your review, let me know something in particular you like about the show. That feedback is really important. 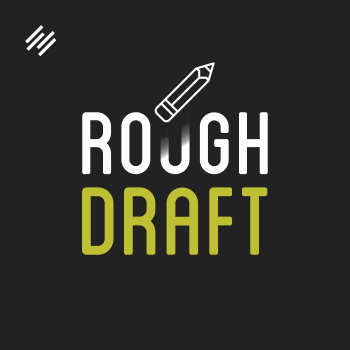 To find us in Apple Podcasts, search for StudioPress Sites and look for the striking purple logo that was designed by Rafal Tomal. Or you can also go to the URL sites.fm/apple and it will redirect you to our Apple Podcasts page. And with that, we come to the close of another episode. 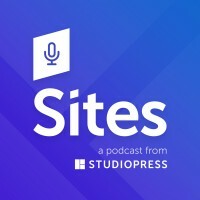 Thank you for listening to this episode of Sites. I appreciate you being here.